It seems appropriate that the Rev. Dr. James Hal Cone—radical Christian, father of black liberation theology, soldier against white supremacy, renowned author and longtime academic around the American phenomenon of lynching—would die the same week that the national lynching memorial opened in Montgomery, Ala. It is a divine nod to a job well done. 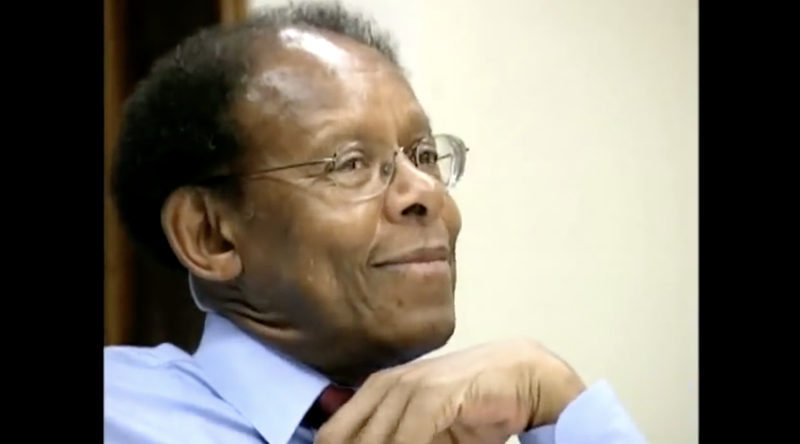 Cone, the Bill and Judith Moyers Distinguished Professor of Systematic Theology at the Union Theological Seminary in New York, died Saturday. He was 79 years old. Cone founded black liberation theology, which linked the gospel of Christ to people of color in a white supremacist construct. Cone is best known as the father of black liberation theology. In his ground-breaking works, Black Theology & Black Power (1969); A Black Theology of Liberation (1970); and God of the Oppressed (1975), Cone upended the theological establishment with his vigorous articulation of God’s radical identification with black people in the United States. His eloquent portrayal of Christ’s blackness shattered dominant white theological paradigms, and ignited a wave of subsequent American liberation theologies. Cone’s most recent book, The Cross and the Lynching Tree, earned Cone the 2018 Grawemeyer Award in Religion, reports Union. Newsweek reports that Cone had 13 honorary degrees, including a bachelor’s degree from Philander Smith College (1958), a Master of Divinity degree from Garrett Theological Seminary (1961), and a master’s degree (1963) and a doctorate’s degree (1965) from Northwestern University. Union has published his obituary in full here. He is survived by his sons, Michael and Charles; daughters, Robynn and Krystal; and two grandchildren, Jolei and Miles. Rest in power, divine ancestor. Black liberation is God’s story.